Much like a standard Fiat currency, the Ripple coin price varies with respect to the U.S. Dollar and all other currencies. Though XRP is primarily intended as an Anti-Spam measure on the Ripple Network, some people believe that it is a useful store of value. In other words: they think the Ripple Price will go up. Indeed, the founders of Ripple Labs themselves form part of this cohort. The Founders and employees of the company are issued with a certain amount of XRP. This is rather like a normal stock grant. When Ripple’s Price goes up, their holdings will increase in value. Anyone holding XRP in this way can then transfer it from their Ripple Wallet in return for U.S. Dollars. Many people have remarked that the Founders and Employees having a vested interest in the value of XRP undermines the system. I’m not so convinced. If I create a new company and issue equity to myself and to my investors, I am hoping that the value of my company’s stock will increase in time. If it does, then – by definition – the market has decided that my enterprise has created value. I profit from this to the tune of the increase in the stock price. The Ripple Labs founders are doing the same thing. It’s just that they are using a different underlying product – a newly denominated currency. What’s wrong with them making money if Ripple’s Price increases? Ripples (XRP) had zero value at the outset. If the market assigns them a value now, I’d argue that this is the very definition of “creating value”. We members of the public also stand to profit if the price goes up. Ofcourse, if it goes down, we could also lose. Welcome to the world of investing! As an investor, you may be keen to avoid sleepless nights spent constantly tracking the Ripplecharts. 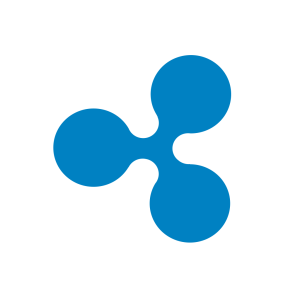 By signing up for the simple alert emails below, you’ll get a daily Ripple Price Alert whenever the price has moved by more than 3% in the previous 24-hour period. This lets you get on with your busy day – safe in the knowledge that you’ll be notified if the price starts to shift.